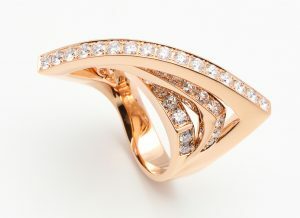 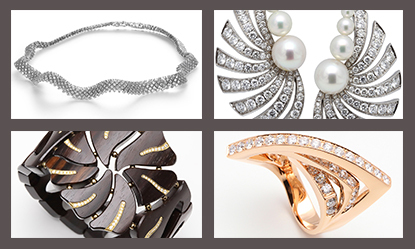 The winning swing and the architectural purity are the relevant ingredients for these rings of contemporary inspiration. 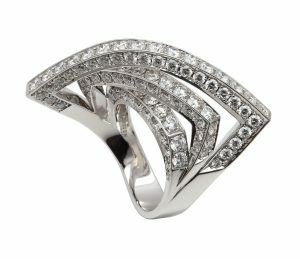 Not only a matter of geometry but also the fluidity and the movement, as well as the way the stones reflected light in an infinite game of lights and shadows make this collection very special with its architectural aesthetic. 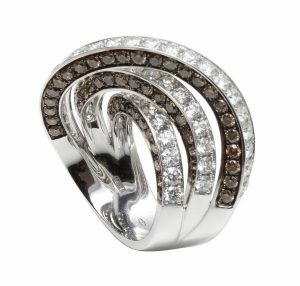 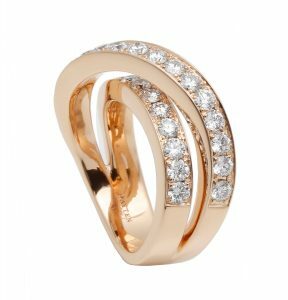 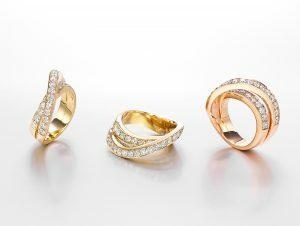 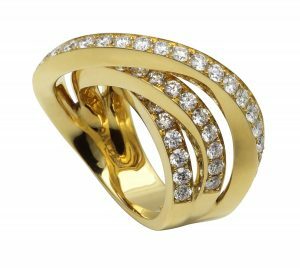 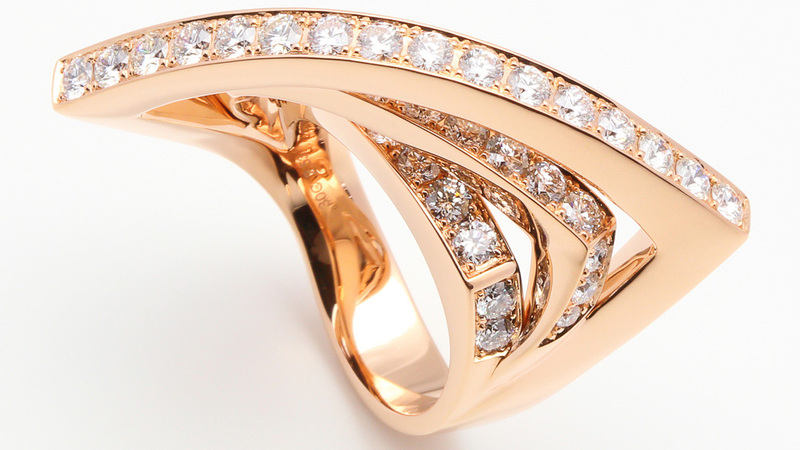 As a result, polished rings set with diamonds, with triple and double waves design to make fingers look more slender. 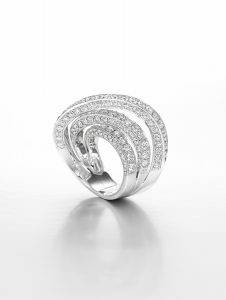 As a result, polished rings set with diamonds, with triple and double waves design to make fingers look more slender.